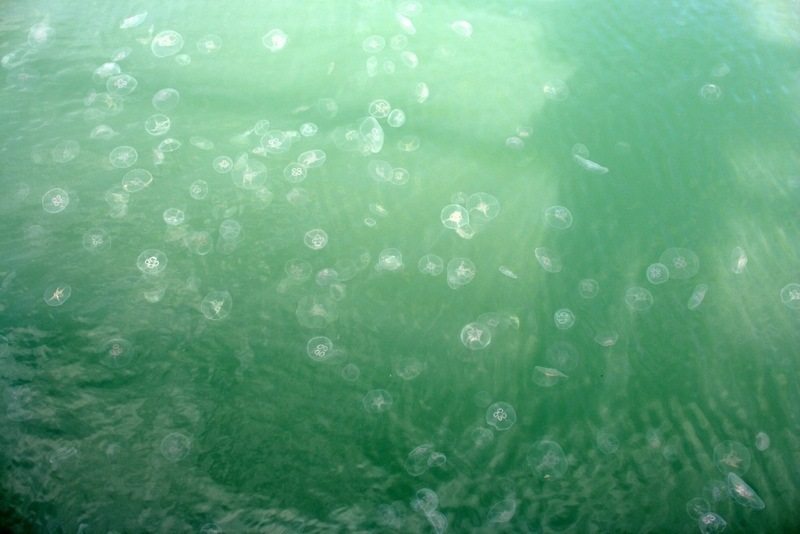 Jellyfish populations around the world have been increasing in recent years, and several very large jellyfish blooms have been reported since the early 2000s. The cause of these, and the general population increase, has remained somewhat unclear until now though. Is it simply observation bias? Cyclic population change? Warming waters? Changing currents? But now, thanks to new research from the Institut de Recherche pour le Développement (IRD), the causes have become clear. 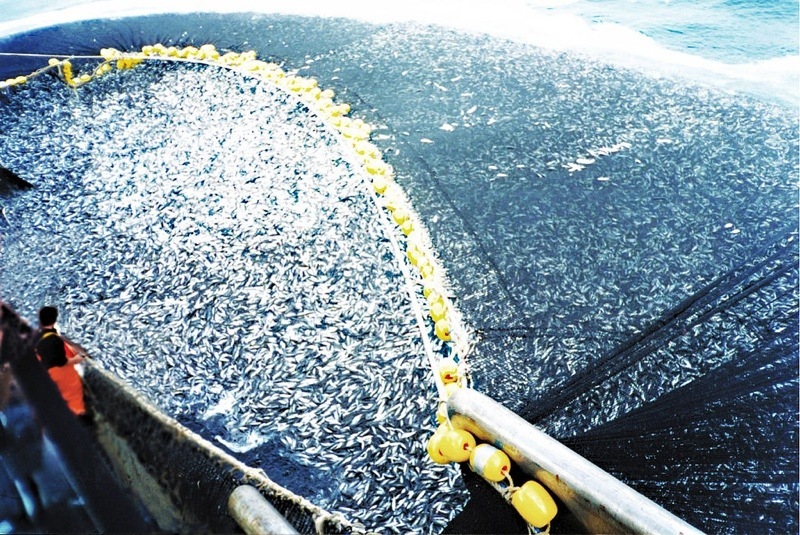 The primary cause is overfishing, and with it the decline of many ecologically important species. Many significant predators of jellyfish, such as tuna and sea turtles, have seen their numbers plummet in recent years as a result of overfishing. And with their decline, jellyfish have begun to see their populations grow. 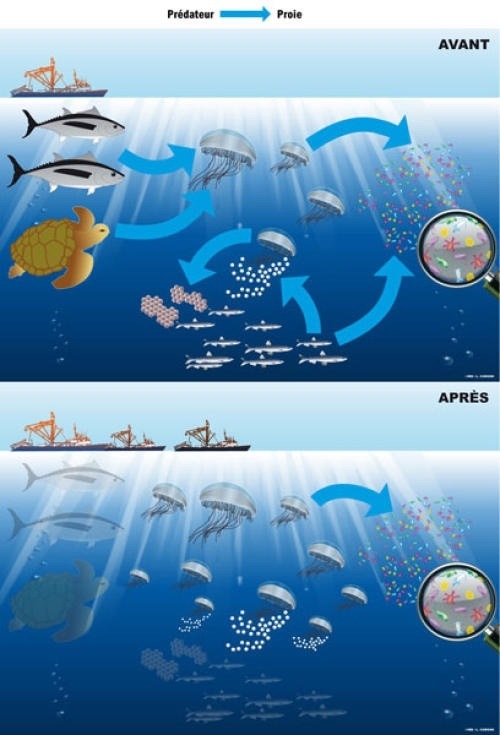 But perhaps far more important than that decline, though, is the overfishing of small pelagic fish, such as sardines and herring, which are the main competitors of jellyfish. So, in short, overfishing is resulting in a decreased level of competition for the jellyfish, allowing their numbers to boom. The research makes it clear that a more better approach to fishing, one that takes whole ecosystems into account, is necessary if the health of the oceanic ecosystems is to be maintained. To put it a different way, management measures need to be put into practice which consider potential impacts across all levels of the trophic network. Otherwise, at some point in the not-too-distant future, the seas may be populated primarily by jellyfish, as they once were. – Sharks are rapidly going extinct — with some estimates saying that they may be extinct within only the next few decades. Over 100 million sharks are currently being killed every year, and possibly as many as 273 million according to recent research. This is largely as a result of the booming shark fin trade, being caught as by-catch, and recreational fishing. Many species of shark have seen their overall numbers and population range fall by as much as 90% in just the last 20-30 years. The new research was published in the Bulletin of Marine Science.